The front yard landscaping ideas I will share with you here, will really help you to improve the curb appeal and therefore the value of your home. As long as the human race has been living together in communities, we have made landscaping a part of our lives. We use the garden and the outside to extent the living area we have available to us. 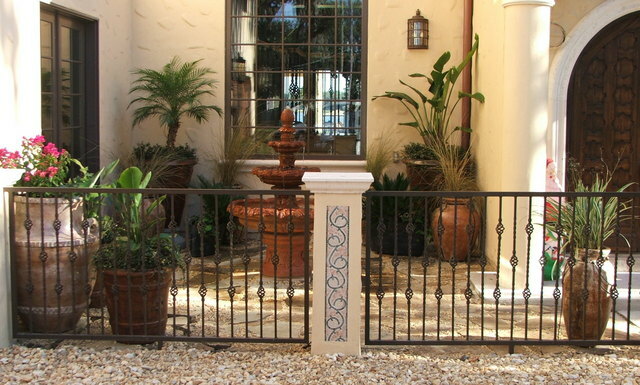 A well designed front yard is inspiring; it shows your style! make your visitor stand in awe. A beautiful front yard will also improve the appeal of your home and may even inspire your neighbours to turn their yards into inspiring landscapes which will improve the entire neighbourhoods appeal. And remember, if you ever want to sell your home, the way you implemented your front yard landscaping ideas are the first impression the prospective buyers will get of what to expect from the rest of your home. 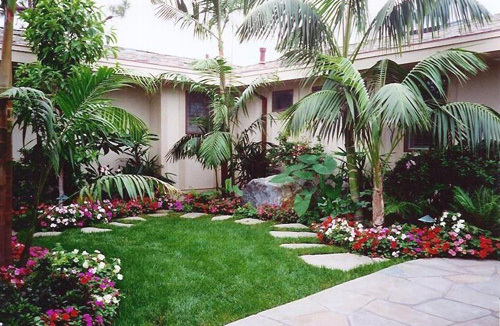 If your landscape design and the implementation thereof creates the "whoa" effect, your home is as good as sold. Before I get too carried away, let's see how these ideas I want to share with you will help you. Landscaping is an ideal outlet for your creativity. This is where you can let your imagination run free and without lots of money you can create a stunning front yard. For me, the front yard is the first impression people get of who you are as a person. It is therefore important to use the design and layout of your front garden to blend the outside to the inside of your home so that the visitor has a sense of balance between exterior and interior when he enters. If you take care and plan and design your front yard well, it will transform your garden into a beautiful and functional outdoor living area that will give you great joy. You want to create a welcoming feeling for everyone visiting. This is also where you show your style. Now you must decide what effect you want to create. Do you want it to be formal, or do you want the "cottage" effect. Although I am not a supporter of fences, walls or hedges to screen your home from the road for privacy or other reasons, these days most homes have a defining border towards the curb. An urban landscape actually benefits from an "open plan" layout as it is more pleasant to look at than one where the view is interrupted by fences, hedges or even worse, six or eight feet high security walls. But the age-old saying "good fences makes good neighbours" is maybe a cliche well-worth remembering in this instance. 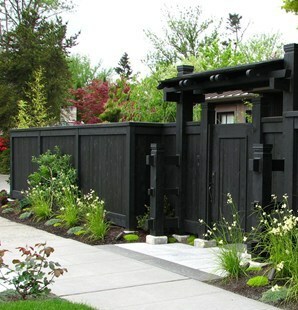 Look at this beautiful ornamental fence above, where the inside front garden is shown in all its glory, while still defining the border of the front yard (where the owners privacy starts). We have an unfortunate situation in some urban areas in South Africa. Crime is rife here and the home owners are forced to wall up their entire front yard; mostly for security reasons. But if you are forced to do that, then this fence is certainly not the worst option you can choose. Just look at the beautiful indigenous plants in the beds alongside the wall to soften the impact of the hard reality. 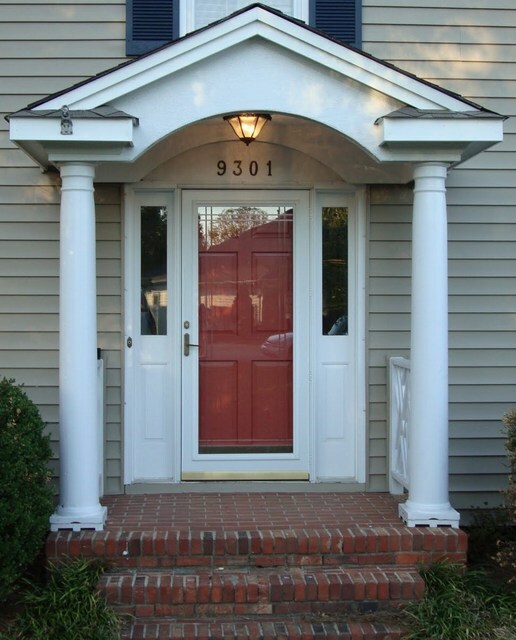 For me the front door is one of the most important aspects of your home. This is where you allow people to enter one of your most prized possessions, your home. And you should always place emphasis on the way you present this to your visitors, regardless of whether you want them to actually use the front door or not. I make it the most important focal point when I start to explore front yard landscaping ideas. 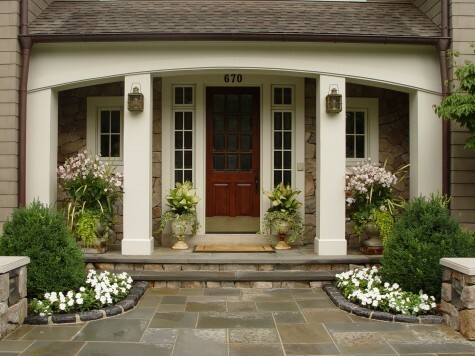 There can, and should be, other focal points in your front yard too, but for me it is important that peoples' attention is drawn towards the home entrance. A great way to draw the eye of your visitors towards this focal point, is to design a beautiful pathway towards the entrance of your home. This pathway should lead to the front door, but it need not be a straight walk there. It can also be a winding pathway allowing your visitor to explore the journey through the front yard landscaping first, with a leisurely stroll, eventually ending at your main focal point, the front door.